Another one from Rory Kehoe who says:- I can't zoom in and retain the resolution, so all I can pick out is Rigden's (Fine?) Ales and ??????? Inn? Not sure how many houses Rigden's owned in 1904 but I doubt it was more than 100 and many/most of those were in towns/villages, so whittling down to a shortlist should be easy enough! 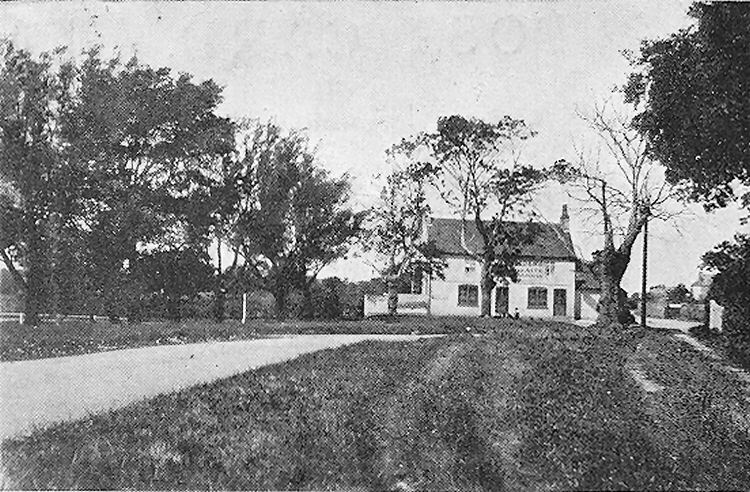 The picture had the title "An Old Pub in Kent" and was taken by W. D. Wilson. I at first thought this was the "Black Robin" at Kingston, but the chimney pots aren't correct. Further information from Michael Mirams suggests that this could be the "Brown Trout" of Lamberhurst. In 1904 this would have been known as the "Rising Sun." However, Rory Kehoe maintains that it's not the pub in Lamberhurst but it's certainly the closest looking building I can find. Further information from Doug Pratt has pointed me to the "Huntsman and Horn" in Broomfield on the Margate Road, and I would say this is definitely the pub in question.